The family-friendly 2018 Chevrolet Impala is the brand's largest sedan. It's a comfortable, spacious and fuel-efficient full-size 4-door with a massive trunk and a starting price well below $30,000. The new Chevy Impala offers two engines, including a big V6 with 305 horsepower, and standard onboard Wi-Fi. It competes with the Toyota Avalon, Nissan Maxima and Ford Taurus. My personal Chevy bat car. . (Impala). 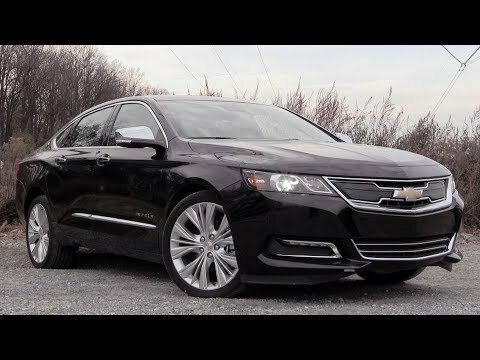 My 2018 Chevy Impala rides very smooth, it has a lot of storage and a few secret compartments which is great for if you go somewhere and valet. I have a family of 5 and my husband and boys are tall and they are all comfortable when we go places so I would say very spacious. It also has child lock on the back doors. Our car came with a free trial of OnStar, and Wi-Fi and Sirius XM radio. I've only had it for about 5 months and I went from driving a Silverado truck to driving this car which is a major difference and I really love it. Not to mention our salesman was great and a lot of help too. I am happy!! Overall it is a great car. The gas mileage is pretty good for a v6. The rear view is not the best. If you actually turn around to look out the window the back seat is too high to get a good view of what is behind you. There is a rear view camera but sometimes the camera just is not enough to see what is behind you. Also the center seat in the back is not very comfortable for longer road trips. The cushion is not as much as the other seats because there is a console hidden in the center. General Motors LLC (GM) is recalling certain 2018-2019 Chevrolet Equinox, Impala, Cruze, Volt and Bolt EV vehicles, GMC Terrain vehicles, Buick Lacrosse and Regal vehicles, Cadillac XTS and XTS Professional vehicles and 2018 Chevrolet Malibu vehicles. The rear brake caliper pistons may have an insufficient coating causing gas pockets to form, potentially reducing rear brake performance. A reduction of braking performance can increase the risk of a crash. GM will notify owners, and dealers will bleed the vehicle's brake system, free of charge. The manufacturer has not yet provided a notification schedule. Owners may contact Buick customer service at 1-800-521-7300, Cadillac customer service at 1-800-458-8006, Chevrolet customer service at 1-800-222-1020, or GMC customer service at 1-800-462-8782. GM's number for this recall is 18279.